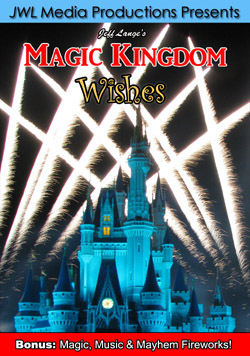 We’ve had a great time taking photos and video around the various Walt Disney World resorts over the past couple of weeks. 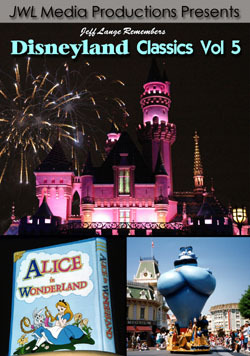 There is so much to see! 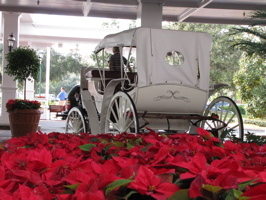 Disney’s Grand Floridian Resort is truly grand, with vintage vehicles in front of the resort (below, left) and beautiful decorations inside (below, right). 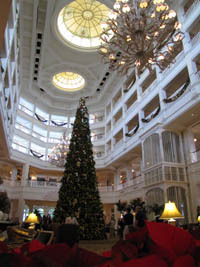 The stunning tree towers in the lobby (below, left), there are guests who book the time period exclusively that the tree is put up so that they can watch the process. 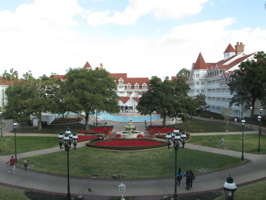 We visited the Grand Floridian when the Gingerbread House was being built and then for it’s final dusting, but these are the first photos we’ve published of it open to guests (below, right). 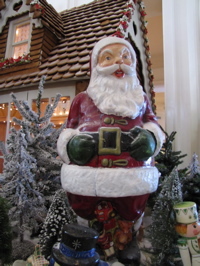 One of several solid chocolate Santa’s are part of the display (below, left). 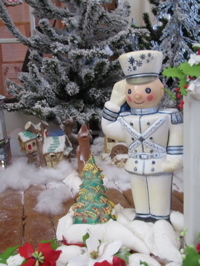 A toy soldier salutes guests (below, right). 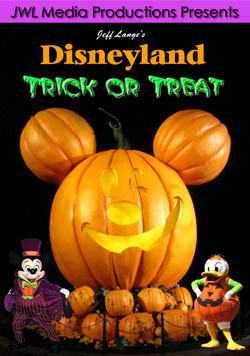 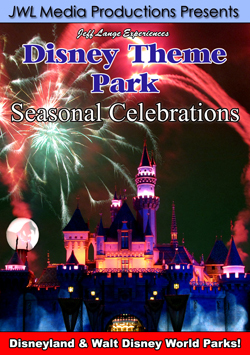 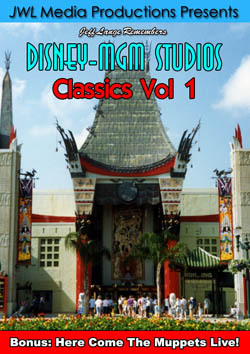 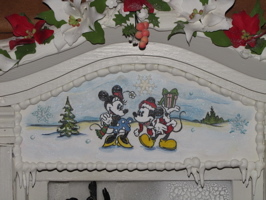 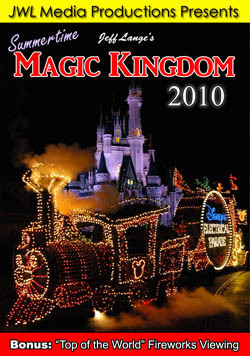 There are a variety of Disney characters represented in the display. 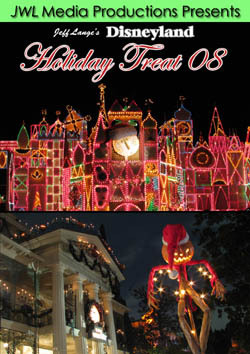 Stitch sits with a pile of presents (below, left), and Mickey and Minnie spend some holiday time together (below, right). 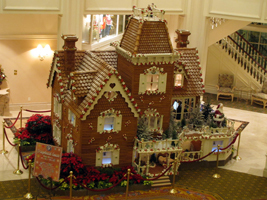 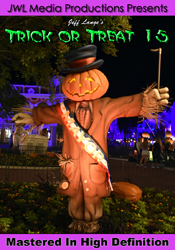 The Grand Floridian Gingerbread House features a variety of gingerbread goodies for sale! 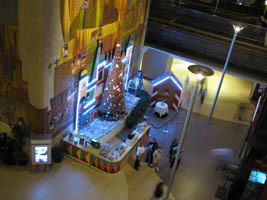 (below, left). 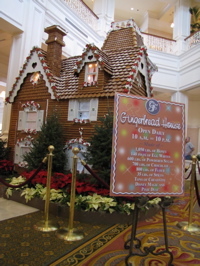 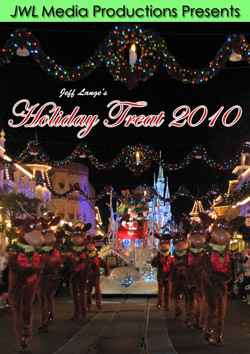 Video #1 – Disney’s Grand Floridian Gingerbread House and Decorations 2010 – This is the Grand Floridian Gingerbread House from 2010, which is open for guests to buy gingerbread goodies from over the holidays! 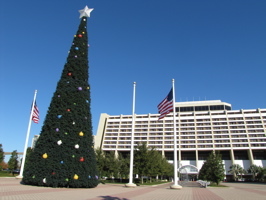 Disney’s Contemporary Resort has it’s giant wreath on the side of the building (below, left), and a tree out front (below, right). 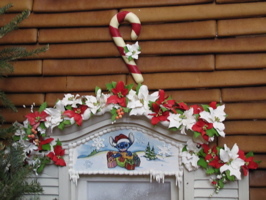 Look down a little farther and you’ll see the wreath lit up at night! 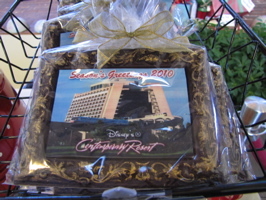 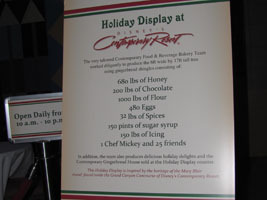 The gingerbread display at the Contemporary Resort (below, left is a list of the ingredients) is inspired by Mary Blair, who created the tremendous mural behind it (below, right). 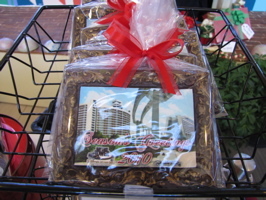 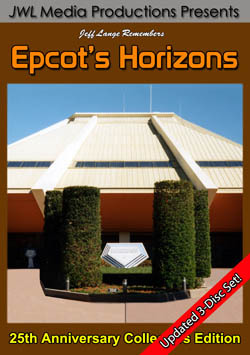 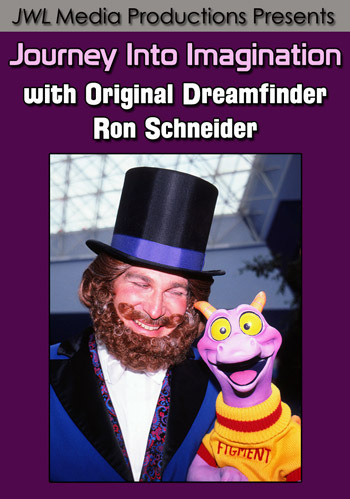 Two of the items sold look like postcards! 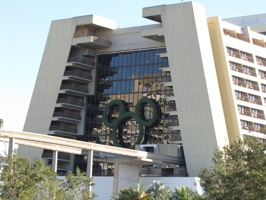 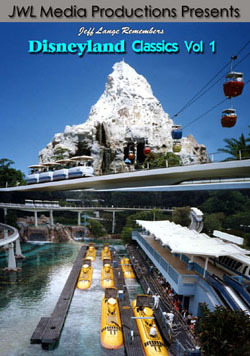 One is of the Contemporary Resort main building (below, left) and the other is of the Disney Vacation Club Bay Lake Tower (below, right). 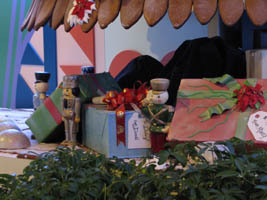 A pile of presents sits under the tree as part of the display (below, left). 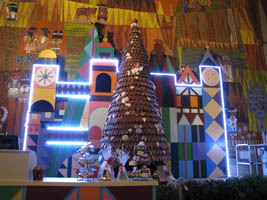 The gingerbread tree is decorated with stars and more (below, right). 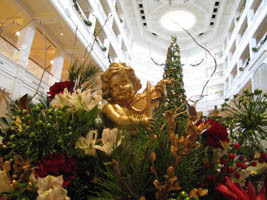 The display is really well lit this year (last year it was too bright at night), and looks beautiful when looking down from a higher floor. 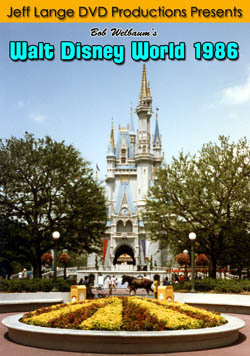 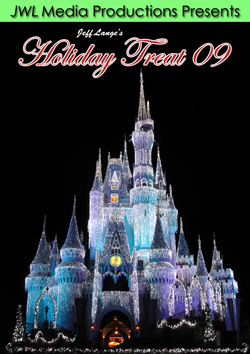 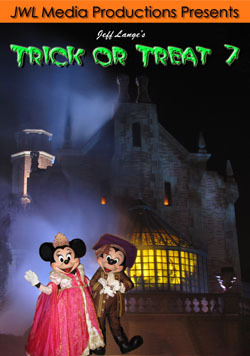 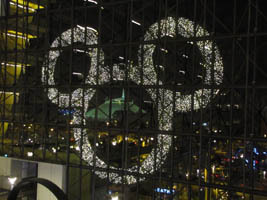 The huge Mickey wreath is lit at night – you can even position Space Mountain to be in the center (below, right). 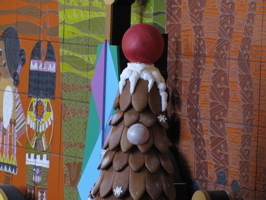 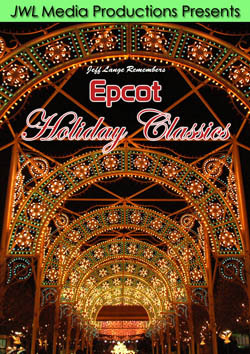 Video #2 – Walt Disney World’s Contemporary Resort Gingerbread House 2010 – Video of the Contemporary Resort gingerbread house at Walt Disney World in the style of Mary Blair.